Glad to hear from you as always. I'm loving Mexico. We had an awesome week this last week. As far as our celebrations here, well, they were pretty uneventful. On Halloween, we were in meetings and appointments during all the night time hours, so we didn't really get to see many costumes. And then I couldn't really tell what was going on for the 2-day celebrations for Day of the Dead. All three nights there were trick-or-treaters with pretty lame costumes. They would just put a boring mask on or paint their face with whiskers. So honestly, I don’t even know what goes on with Day of the Dead. The food in Mexico is absolutely splendid. I have forced myself to like spicy food. I hated it before, and now I've tricked myself into loving it. You asked about our cooking situation. It is pretty pathetic. Today I purchased my own cooking pot with my personal money, because the offices wouldn’t reimburse it. We have a mini fridge, a camp stove, a sink, 2 forks, 1 spoon (no knives), 2 bowls, 3 cups, a small frying pan, and my new blue pot. But it’s all good, we survive. We wash our clothes out back. We have a sort of washing station where we fill up a bucket with water and soap, put in our clothes to soak, then we put an item on the scrubby part of the table and scrub away. Yes, I hand wash all of my clothing, then we hang it up to dry. The clothes get clean, but they are not at all soft. But it’s all good. There are cybers around, right now we are in Camelinas, which is near the chapel and there is a cyber, which is just like a room with computers. Elder Lux and I have been teaching quite a bit. We have one investigator --Maydena H. who we have been teaching tons. She is doing very well. Our other four investigators we have been trying to teach a lot, but they keep on bailing, which is frustrating. When we invite them to church they just say "we'll see if God wants me to go to church on Sunday." 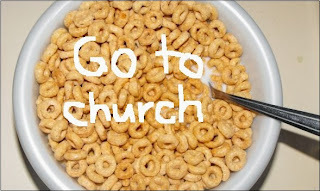 So pretty much they want it to be spelled out in their Cheerios that morning, "Go to church". But it’s all right. All of our investigators are listening to the lessons and are very interested. My teaching is improving a ton. I can teach in Spanish surprisingly well, but I have tons of room to improve. The people talk so fast and when they repeat themselves they say it even faster. Hmmmm what have I learned this last week? I learn a ton. I finally feel mostly comfortable with all the parts of our area. If I know who we are going to visit, I can pretty well manage to get us there. Elder Lux is the best. Before, he was studying to be an accountant but that is not really what he wants to be - he doesn’t know. He likes soccer, and just being a good dude. My purpose of being a missionary more or less is just enhanced, I don't think it has completely changed. Its like if you have brownies, then you decided to add some mint frosting, then topped it all off with some Andes mints or something. You get the point. Right now I'd say my purpose, is... And this struck me pretty hard while in the MTC, is this: In Moses 1:39, God states his purpose, to bring to pass the immortality and eternal life of man. And I figure my purpose is to help fulfill God’s purpose, and that’s what keeps me out here. I'm out here serving, devoting everything I got to help out the Creator. It’s crazy how much my love for our family has grown in the past little bit. Mom and dad worry so much about us hooligans, and they want the best for us, God is our Heavenly father, he worries for us he hopes the best for us, and I want to make my God proud. In one of our devotionals in the MTC, Elder Baxter said, "You leave your families for a little bit to help others be with theirs forever." I think that is incredible. That is the other thing I want to do: Help - help everyone. While in the MTC, I decided to study at least 15 minutes a day on charity. And it made me want to be more charitable, and I try to do more charitable acts every day. Mexico is so rad! I love it here, it is honestly fun. As far as the cars go, there are very, very, very nice cars, and there are some of the largest pieces of junk you have ever seen. Something must have happened with Volkswagon here in Mexico because there are tons and tons of Volkswagons, super cool old ones and super cool new ones. DONT LET STARFIRE DIE!!!! I love Starfie. I need to write Simon and tell him to take care of her. The diversity of people that we work with is great. We work with people who have very, very nice cars and pretty much make bank, and we work with people who work their butts off all day long and make 100 pesos (less than ten US dollars) a day. It is so humbling, we are so blessed. Also the area that I'm in is a very large city and has really civilized part. My area has kind of three neighborhoods in it: Santa Maria, which is a beast of a hill and is quite a bit more poor, then we also have Camelinas, which is a flatter part of the city. The transportation here is super fun. The Combi's (pronounced cahmbee) are these little vans that have seats for 16 people, but you can cram about 22 in there. They drive recklessly, as does everyone here. They all have a different color and each color a different route. They are always running and rarely do you ever have to wait more than 5 minutes, so that is the best. Also, it is a good way to contact people, but my Spanish is not all that great yet, so I get really, really nervous. I'm asleep, I love to sleep, who doesn't at 3:30am? Elder Lux wakes me up, and I'm so incredibly confused, saying, "como? como? que? mande?" He is shusshing me, so at this point I’m just confused. He is continually looking out the window and over his shoulder. Then, Elder Lux runs over into my room, which is just a closet, and turns on the light. I'm just lost, so I just sit there in my bed. He runs back, is looking out the window, I say "elder que esta pasando" what is happening? He tries to explain this to me. A man threw some rocks at our window to see if anyone was awake or home (of course I slept through that), then he intruded into our gate. I will send photos of the house, but we have somewhat of a side where you can walk to the back. This person had opened the gate and gone to the back. After Elder Lux turned on the light, the man ran away. But a few minutes later, he returned. I'm freaking out and just praying my guts out for safety and comfort. After the guy returned, Elder Lux turned on more lights, then the guy ran off again. At some point, while in the back, the savage of a man cut our gas line in attempt to steal our gas tank. This stunk because for the next two days we had to shower in freeeeezing water, easily the coldest water I've ever showered in. We now have more safety precautions for the house and don't worry, we are safe. It was a thrilling experience. You and Dad are the best people I could ever ask for in my life. I love you all so much. Also, could you send some more photos of the family? Some people want to see photos of my family but I don’t want to tamper with the photo albums I have. Thanks for all you do for me.